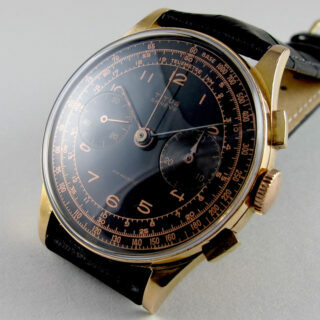 This is a large sized vintage chronograph wristwatch with a case diameter of 37mm. 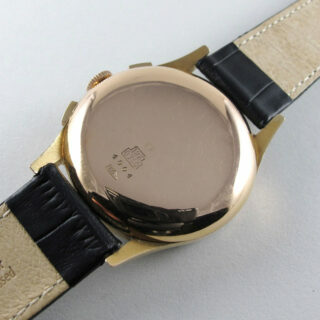 The bezel is slim and therefore the dial is given the maximum surface area. With a very attractive black, silk matt finish, the dial has finely engine-turned subsidiary dials for constant seconds and 30-minute register. All tracks and numerals have a pink metallic finish which provide a great contrast to the black surface, whilst complimenting the tone of the 18ct pink gold case. 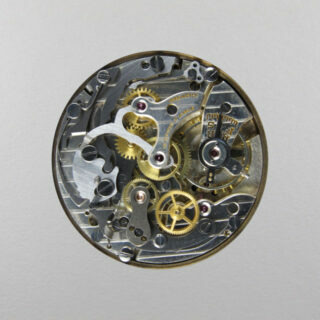 The watch’s dial has outer calibrations for tachymeter and telemeter. Tachymeter scales enable the user to compute the speed of a travelling object over a set distance. In this instance the dial is calibrated for 1,000 units. If a car is timed over a measured mile, the user could begin their chronograph at the start of the mile and stop it once one mile had been travelled – by then reading on the outermost tachymeter scale, the speed in miles per hour are shown; for example, if a car took 30 seconds to travel 1 mile, the reading on the scale will show 120, i.e. the car is travelling at 120 miles per hour. The telemeter scale allows the calculation of something that emits both sound and light – for example, if the chronograph is started when a flash of lightning is seen and stopped when the thunder is heard, reading the chronograph seconds hand against the inner telemeter scale will show the distance of the thunder storm from the watch, in this instance the scale is calibrated from 0 – 20 kilometres. 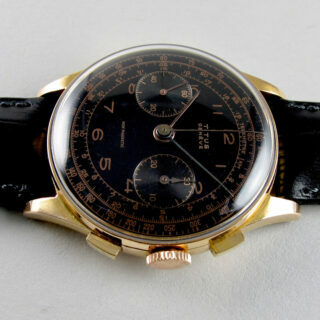 In 1951, Titus was listed together with Sovil as Solvil & Titus SA, based in Geneva. 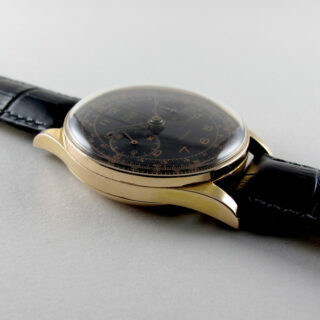 The company was part of the famous firm of Paul Ditisheim – its founder and namesake was a highly talented watchmaker who was especially interested in the effects of magnetism on watchmaking. Paul Ditisheim left the Board of Solvil in 1929 and died in 1945. 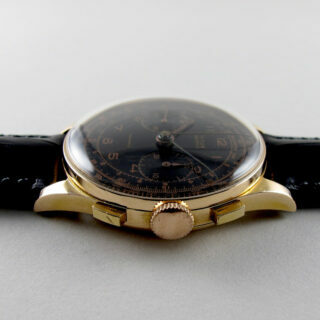 Solvil and Titus continued to make watches and, in the 1950s, Titus was imported to the UK by F. Allen of London. 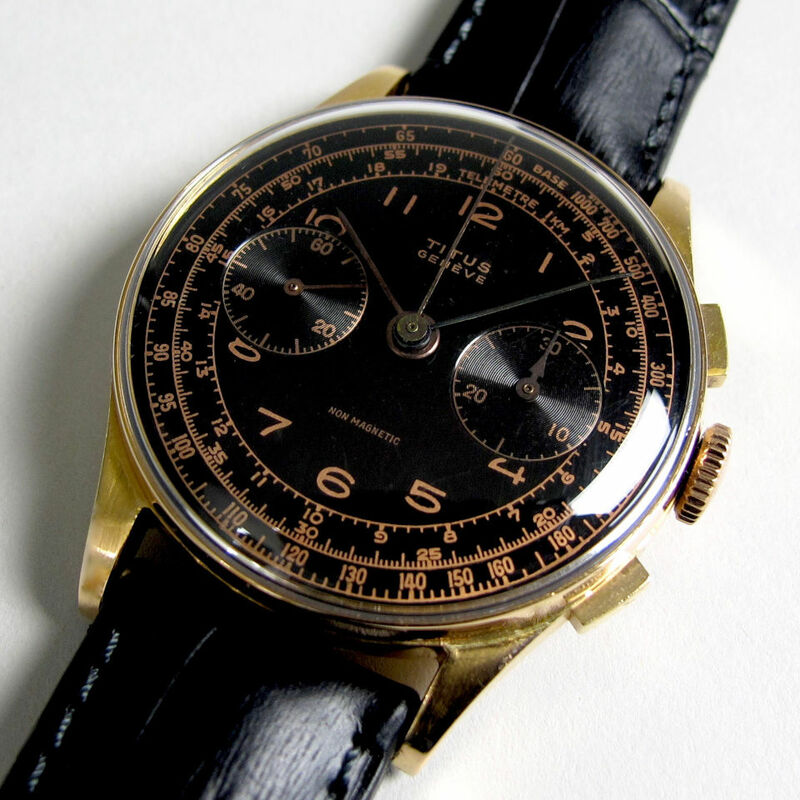 Like many watch companies during this period, Titus bought in their chronograph ebauches and the movement of this watch was made by the chronograph manufacturer, Landeron. All our watches have been fully serviced and overhauled and are sold with a one year guarantee and detailed Black Bough certificate. 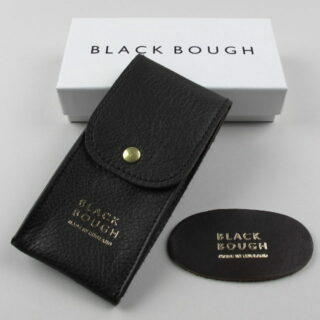 This watch is accompanied by a Black Bough leather watch pouch and card outer box.